Does your business produce the best food this side of the world? Yep, we thought so. We know you’ve got the cuisine covered but are your brilliant baltis or sumptuous noodle soups still making their way to a customer’s eagerly-awaiting plate via plain packaging? The takeaway sector is a fiercely competitive one and it’s important to do all you can to make your brand stand out from the crowd. Think about the big brands out there – you’ll know exactly what a carrier bag from one of the big-4 supermarkets looks like without even a second glance, and that recognition can encourage others to head to a specific outlet or keep loyal customers coming back for more. We’ve got three top tips to help you see how packaging can work for you beyond the practical. Your food needs to do more than just taste good. It needs to tell your story. Pop it in the right packaging and the rest is easy. Your business is likely to be using uniform colours or a logo across outdoor signage and hard-copy menus but if customers are walking out with plain containers there’s no consistency. If you’ve got custom-printed packaging then you’re getting free marketing on-street as people see others eating your food and creating key recognition messages with a design unique to you. Food containers don’t have to look cheap to be low-cost. We keep our prices competitive so that solutions tailored to your business don’t break the bank. Marketing’s already been mentioned so that’s a tick in the box for advertising that extends to the streets at no extra cost, but what about showing off your credentials? 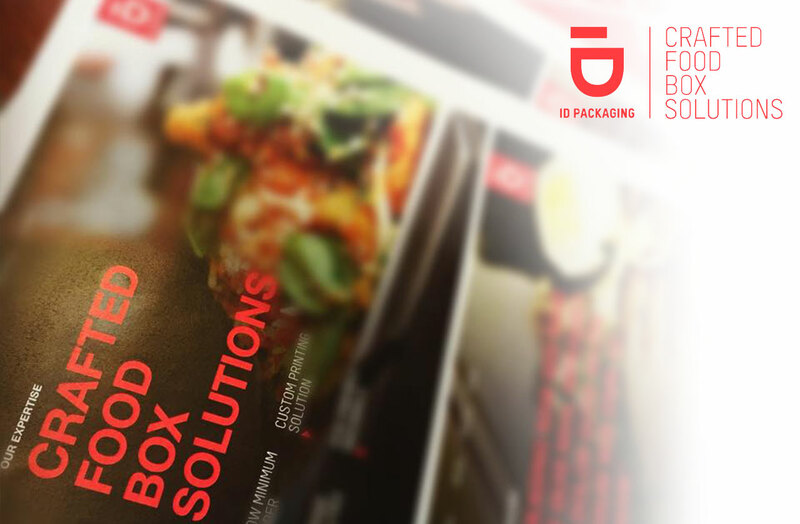 Make your eatery stand out with a sleek, professional design that shows what’s inside is that extra bit special. Simple graphics or colour combinations can really make your product sing and show that your business knows exactly what it’s doing when it comes to great food that’s in demand. When we say we’re talking green here we don’t mean dollar bills. More and more consumers are environmentally savvy and hold the businesses they buy from accountable. Let them know you’re thinking about carbon-footprints and sustainable packaging options with eco-friendly containers. Our SFI-certified paper still accommodates custom design and prints so you don’t have to compromise on style or brandability while you’re helping save the planet.